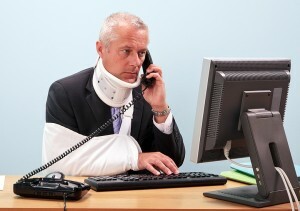 An employer who without intent to deceive makes a definite but erroneous representation to this employee that he is eligible for FMLA leave and has reason to believe that the employee will rely upon it, may be estopped to later claim that an employee wasn’t eligible for FMLA and therefore should not have been granted that leave. It does not matter for the purposes of this issue whether the employer intentionally mislead the employee initially about being eligible for FMLA or whether it was an innocent mistake on that employer’s part. A number of cases recognize this doctrine of “equitable estoppel”. The Kosakow v New Rochelle Radiology Assocs. (2001) court held that the employer was estopped to claim that the employee was not eligible for FMLA when the employer’s unintentional misleading behavior caused the employee to justifiably rely on the FMLA leave. In Woodford v Community Action of Greene County, Inc. (2001) the court cited with the employee, where the employer initially approved notice of eligibility for FMLA leave, but later sought to challenge it. Many employees who request leave under FMLA (Family Medical Leave Act) for one of the approved medical conditions are concerned about their ability to work at a different job, possibly part time, while being on FMLA leave. 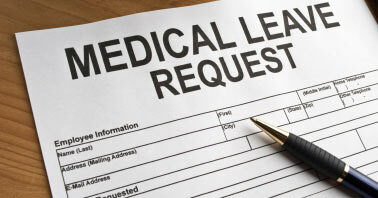 The are some good news for employees on FMLA. The California Supreme Court recently held in Lonicki v. Sutter Health Central that if a full-time, during the period in which medical leave was sought, continued to perform a similar job for another employer on a part-time basis, this does not conclusive establish the ability to do the job for the original employer. A showing that an employee is unable to work in the employee’s current job is enough to demonstrate incapacity. The court further explained that when a serious health condition prevents an employee from doing the tasks of an assigned position, this does not necessarily indicate that the employee is incapable of doing a similar job for another employer. For example, a job in the emergency room of a hospital that commonly treats a high volume of life-threatening injuries may be far more stressful than similar work in the emergency room of a hospital that sees relatively few such injuries. And again, the circumstance that one job is full time and the other is part time may be significant.